Moved into house which was build in 1995. Prepurchase inspection showed 7pCi/L with 2 day professional test. Owner had all windows open before test, so I expected real number to be worse. Bought RP140 fan and pro series 3 monitor. Monitor showed radon was 19pCi/L. Just before the install it was up to 26. House already had a 3" pvc pipe capped at slab, so thankfully, builder had thought ahead. Ran pipe into garage and up through garage roof, using the Nelson firebreaks. Sealed sump pit with water trap and caulked all the slab-to-wall gaps I had access to with polyurethane caulk. Level is now between 0.4 and 0.8pCi/L. Professional wanted $930. Not including monitor, I spent around $200 for fan, pvc pipe, and fire breaks. 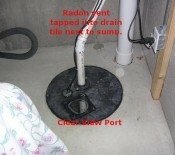 Plus, now I know a lot more about radon. 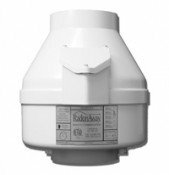 RP140 and 3" pipe is on the low end of guideline for 1400sqft basement, but uses very little power, and is easy to switch out for a RP145 if needed. Please support this site, because the first hand info here is critical. It's not hard, because the prices here are much better than any other place anyway.